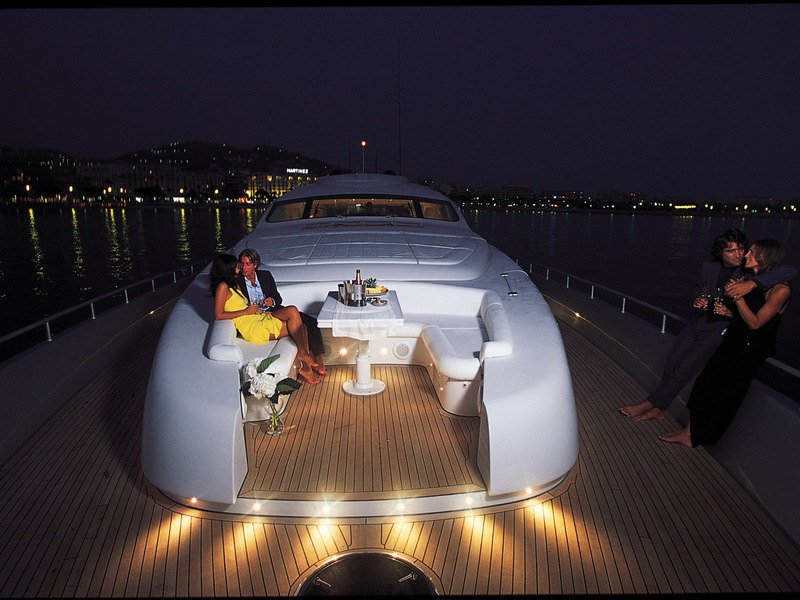 Pershing 115′ is distinguished by a great charisma and stylish elegant interiors. 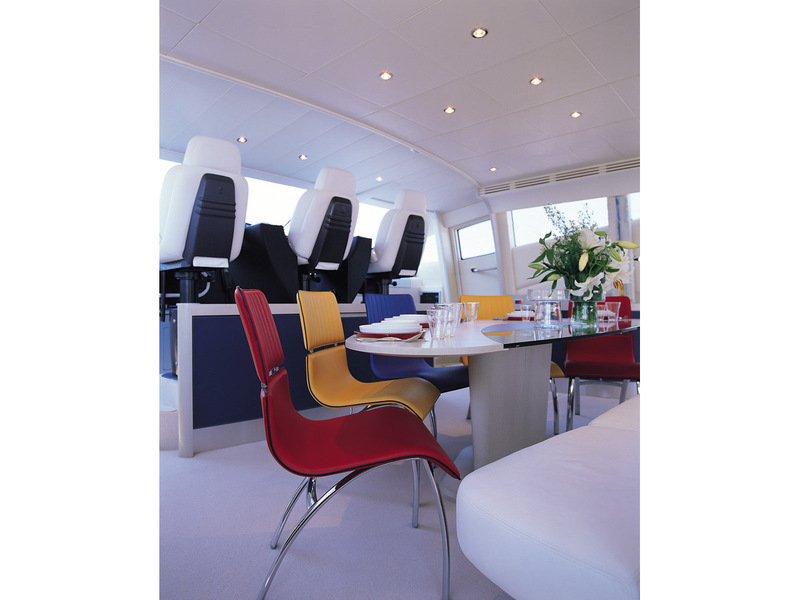 The bright and airy interior environment is distinguished by the attention given to the detail and the choice of materials, from the use of oak as the dominant essence enriched by blue details to the colorful inserts that brighten up the atmosphere. 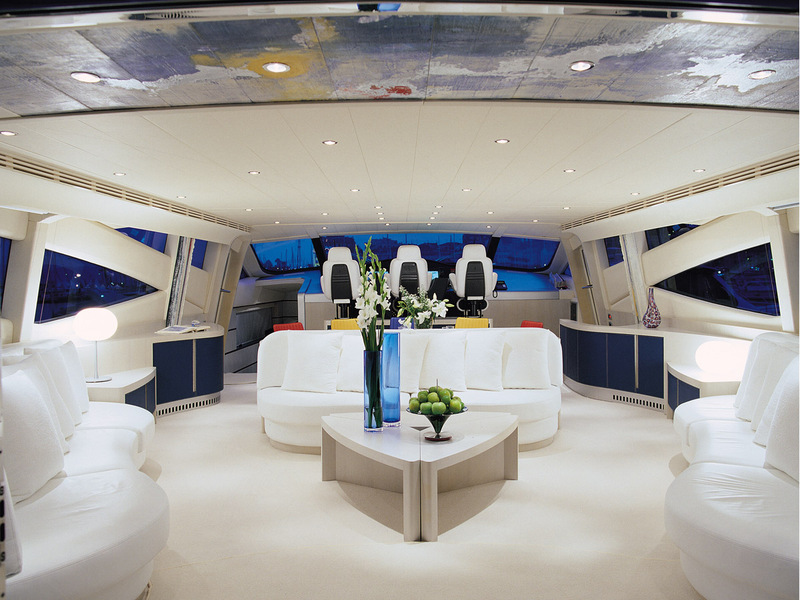 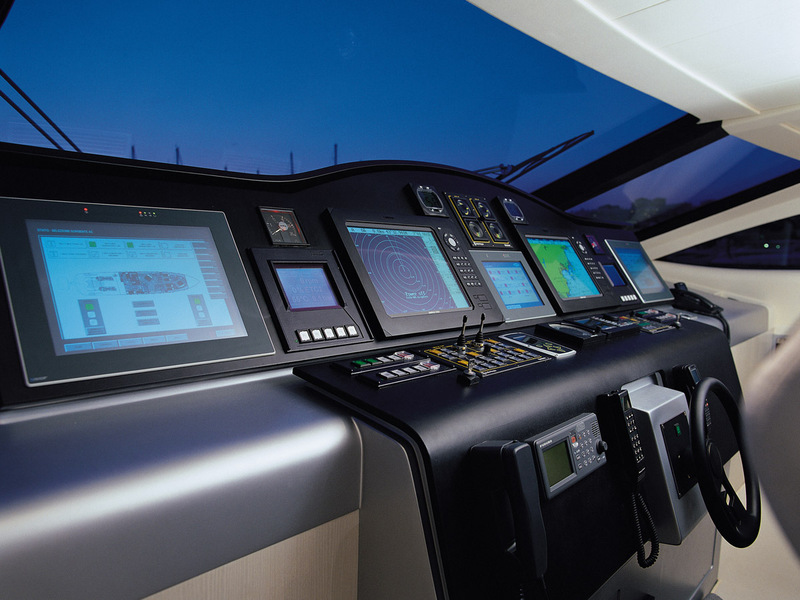 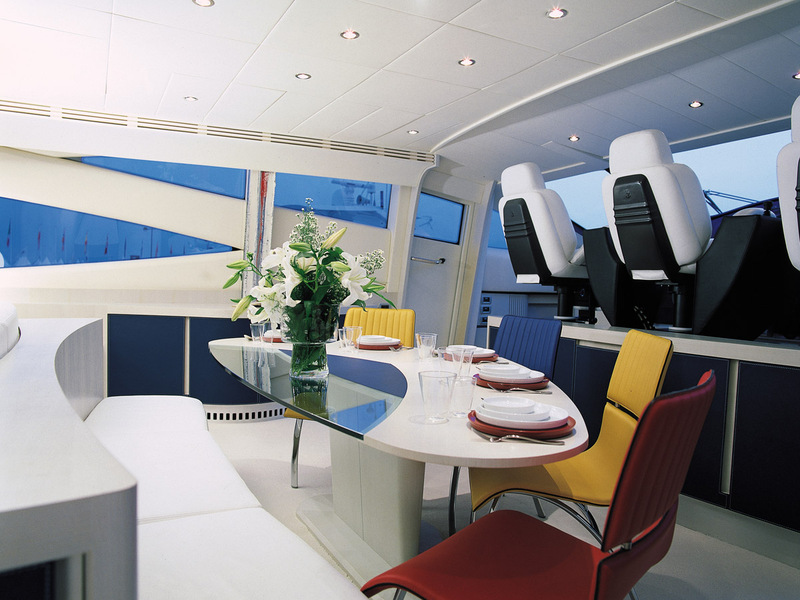 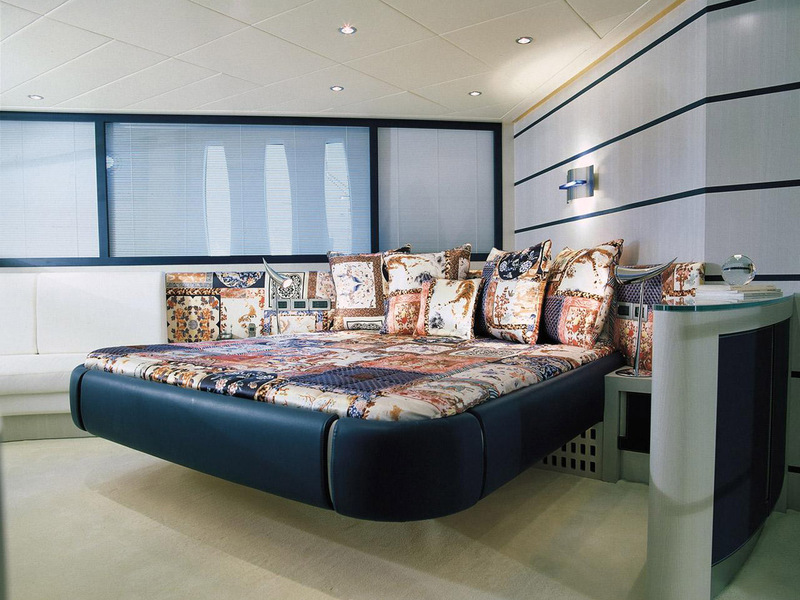 The craft won an award for Best Internal Layout at “Genoa 2004 International Boat Show”. 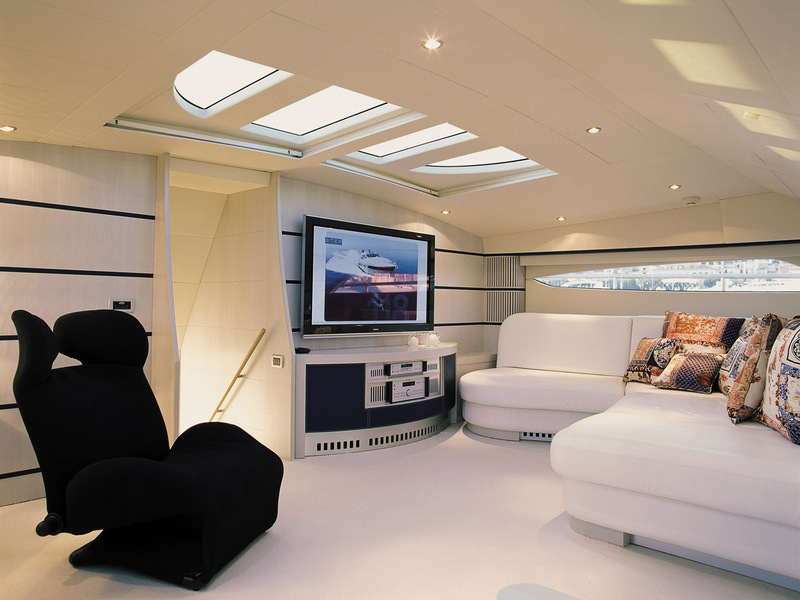 The smoothness of the external frame is reflected inside the cabin where the rounded edges of the furnishing seem to flow with the movements of the guests therein.